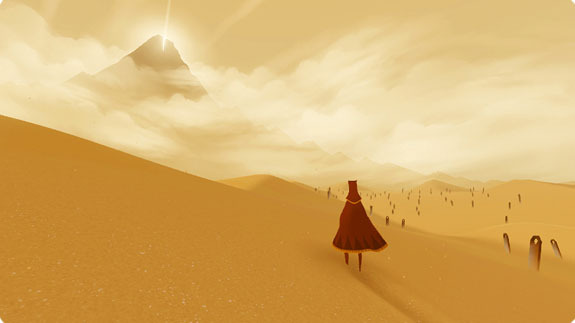 For three months, Journey has been sitting untouched on my PS3 hard drive. I heard the critical acclaim, and even read glowing reviews from a couple of my favorite bloggers, but for some reason I kept procrastinating on playing what many declared one of this year’s best games. 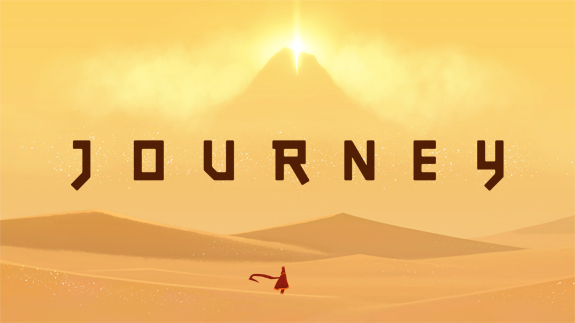 Finally, on a quiet Saturday evening, I sat down with one of my favorite stouts (New Holland’s Dragon Milk) and one goal in mind: to play Journey from beginning to end. With little introduction or back-story, Journey begins immediately in a massive, seemingly endless desert. The immensely luminous sun shines ever so brightly, scorching the drifts of sand below. A robed figure suddenly appears. This is the (unnamed) main character. There’s a mountain off in the distance. With nothing but sand in every other direction, it seems this is the most plausible destination. And so begins our quest in this mysterious world. There is little to no handholding in Journey, so this is our world to discover on our own. A few very brief tutorials in the beginning demonstrate how to move, jump and emit noises, but that’s it. All we know is that we are in the middle of nowhere, and there is a large mountain way off in the distance that appears to be our end goal. Occasionally another robed figure will appear in the game. These are other gamers who temporarily join in for an individual area. Communication is at its most primal with these brethren. Neither voices nor text can be used to talk; instead, the characters can only communicate by emitting patterns of “singing”. The longer a button is held down, the louder the sound. This works surprisingly well, as it’s possible to feel more connected to other players when the only form of communication is non-verbal. The first time I encountered another figure, I felt relieved. No longer was I alone in this world, and soon the two of us were helping each other solve puzzles so we could move onto the next area. The occasional songs between us gave us a sense of companionship, and we knew we were in the exact same position — two strangers in an unknown world. And what a gorgeous world it is. 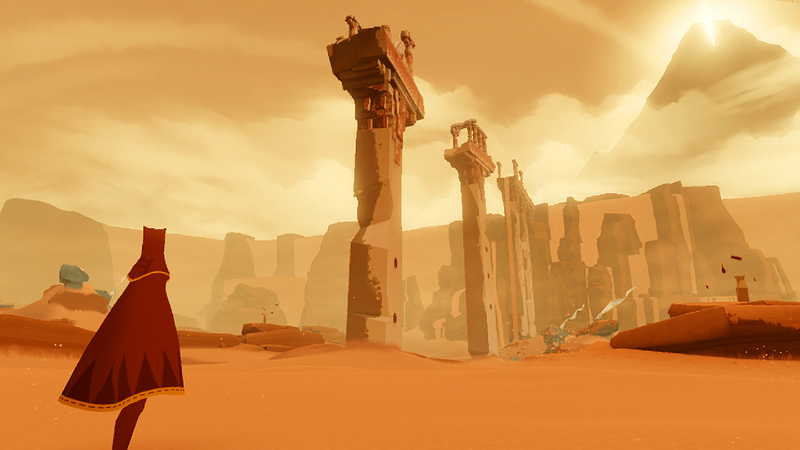 Journey’s environments are often breathtaking and could easily hold their own against games with much larger budgets. Watching sand get kicked up as the figure roams the desert is a sight to behold, and the sliding animations are even more impressive. The color scheme, the backdrops, everything is just beautiful. This is all backed with a moving soundtrack from composer Austin Wintory, and it is one that responds directly to actions on screen. This is very much an audio/visual experience, and to that extent, Journey undoubtedly succeeds. 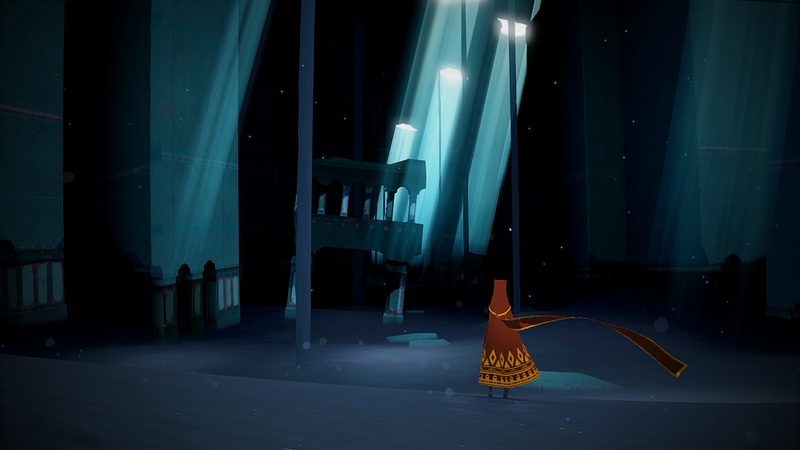 Unfortunately, Journey’s biggest problem is its brevity. I completed the adventure in just 90 minutes, and most will rarely eclipse two hours. For $14.99, that’s not a lot of gameplay. I think it’s fair to compare this to seeing a movie at the cinema — $15 is still a little steep by that logic, but it’s difficult to compare this to similarly priced games. To this point, Journey isn’t a game for everyone. I’m actually quite shocked to see it holding strong with a 92 Metacritic rating, as its slow pacing is bound to throw off some gamers. Regardless, this a unique experience that cannot be found elsewhere in today’s gaming scene, and it is a must play for those curious about it. While I may not have encountered the overwhelming sense of emotion discovered by some — I read of several players wiping away tears near the end — I am certainly glad I was able to take my own personal journey. I played the demo and have read reviews which gave the game a good rating. But I don’t know–I don’t think it’s a game for me, especially reading that you beat the game in only 90 minutes. I was a bit apprehensive, too, simply because I heard the game was so short. But it really is a unique experience, and I have no regrets about purchasing it. The $15 price tag is a bit steep, but it provided a gaming experience I won’t be forgetting anytime soon. Hubby tried demo for this one and just couldn’t get beyond the sand and pace of it. The way you describe it gives it more than just sand in the shoes lol. Honestly, I wasn’t feeling the game much either at first, but I really got into it after 10-15 minutes or so. I think it coincided with the first appearance of another player, as the multiplayer dynamic really changes everything. I’m not sure if that’s in the demo or not. It’s worth giving another chance, especially if the price drops a bit (or if it ends up on PS+). I want to play this game, but unfortunately it isn’t coming to XBLA. Yeah, that’s a bummer. Not even PC or anything. Nice! Glad you got around to checking it out; it’s definitely worth playing to someone who has any interest in video games. Absolutely, man. It’s too bad the $15 price tag will scare some people away, though. Stunning review, you wrote some beautiful passages. I had a very moving experience with this game, I didn’t expect it to be so beautiful and so… lonely. The music, the visuals and the smooth game play all seemed perfect to me. My first play through I made friends with a stranger. We made it all the way up until the last ascent of the mountain, when the wind whips at the characters and the snow lashes at their clothes. We had helped each other through the whole game, even waiting for each other for up to 10 minutes if they were stuck or needing to pause. When the person disappeared, just at the end, I was actually really upset. I feel so lonely once more. All that I wish for it was that it was longer. Wow, thanks for the kind words and for sharing your Journey experience as well! I know exactly what you mean about feeling alone again at the end. That climb up the mountain really brought everything back together full circle, and it is one of the better gaming experiences I had last year. It’s a shame the game is so short, but then again, $15 for a memorable experience like this doesn’t seem so bad in retrospect.